Patricia Hubbard obituary. Carnes Funeral Home. 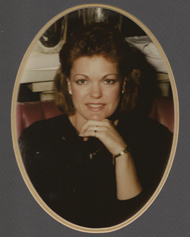 Patricia "Patsy" Ann Woodall Hubbard passed away on December 14, 2013 in Olympia, WA. She was born on October 15, 1954 in Texas City, TX to B.B. and Nell Woodall. After attending Sam Jacinto College, she went to work for State Farm Insurance as an Auto Claim Representative. Patsy met her husband when working at State Farm. Patsy is proceeded in death by her father, B.B. Woodall. Patsy is survived by her loving husband of 31 years, Gary Lee Hubbard; daughter, Kasey Brooke Hubbard; mother, Nell Woodall; mother in law, Lletha Mae Hubbard; sisters, Janis Stanley, Susan Mitchell and husband Denny; sister in law, Diana Mae Edwards and husband JW; nieces, Melissa Girouard and husband Mike, Ashley Bass and husband James, Haley Wedgeworth; nephews Bryan Stanley, Justin Wedgeworth, Chadron Lee Edwards and wife Laura; and 5 great nieces and nephews.